On your mark... get set...Go! That’s right, it’s track season. The season where we watch fast races and great competition all across the area; and Track Shack has the spike shoes and replacement spikes here at the store. 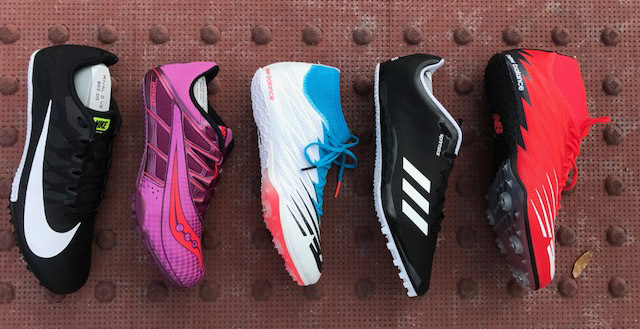 Now that your athlete has their event picked out, how do you know which spike to buy? There are many to choose from and it’s not like cross country where all the spikes are very similar. Below we have classified each category of spike shoes to help you choose the right one for your athlete’s competition. Before we get into the categories, let’s start off explaining what a spike shoe is. A spike shoe is a specially designed shoe, much lighter than a regular training shoe. On rubber tracks they are more responsive as the spike utensils grip into the ground and allow you to bounce through the air at a faster pace. Ok, now on to the categories. These are for the runners competing in 100 to 400 meter races. They offer a more aggressive (fast) spike plate. These are for runners who have speed but also have endurance competing in events from 800 meters to the mile. These shoes are pretty aggressive (fast) but are also softer in the heel. These are for long distance runners competing in the mile to the 5K. These shoes offer more cushion in the heel and offer a softer spike plate. Specialty events consist of less running and more jumping including: long jump, high jump, pole vault and shot put. 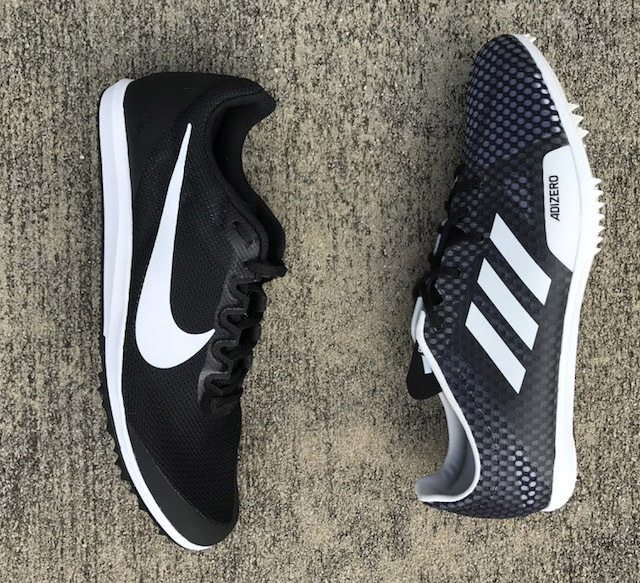 Now that you have a better understanding of the different competition shoes for track and field, it’s time to get fitted. Make sure that each spike has just a tiny bit of space in the front of the shoe. That way when your foot swells it doesn’t get crammed in the front. The spike shoe should fit comfortably but not loose. Come in to Track Shack and have one of our shoe experts fit you or your athlete for the right shoe based on the event. These shoes won’t be here all year because track season “races” by! Youth and high school athletes receive 15% off spikes through May. Track Shack is a specialty running/walking store that has been serving the footwear needs of Central Florida’s fitness enthusiasts since 1977. Our experienced and knowledgeable staff takes each person through a custom fitting process. Shoes and feet are our business but people are our specialty! Now that you’re here, walk through our user-friendly website and welcome to the Track Shack family! Any Run is a Good Run!